Khabar shines the spotlight on popular authors flexing their Indian cultural identity across the rich terrain of their writings. They have addressed issues surrounding immigration, cultural identity, race and assimilation in a new land, and nostalgia about the motherland left behind. Years ago I wandered into the Rubin Museum of Art, one of the biggest-thinking small museums in Manhattan. After staring at a sculpture of mustachioed, bare-chested Tangtong Gyalpo, who looked as if he’d just parked his Harley and was settling down to a beer, I bumped into Shashi Tharoor. He had just launched his new book, Bookless in Baghdad: Reflections on Writing and Writers, at a glittering event in the Rubin Museum. “Who do you write for?” I asked Tharoor, who at the time was Under-Secretary-General for Communications at the United Nations in New York. “I am often asked why, despite my international career, I have set all my books, so far, in India,” says Shashi Tharoor. By picking Tharoor, a career diplomat, for a cabinet position in 2001, former U.N. chief Kofi Annan had sent out a bold message. He wanted a man of letters by his side. He had settled on an urbane, articulate strategist as the public face of the beleaguered U.N. When the United States said it would invade Iraq without the backing of the United Nations, it was Tharoor who went on television and defended the reputation of the U.N.
“I am often asked why, despite my international career, I have set all my books, so far, in India,” Tharoor has said. 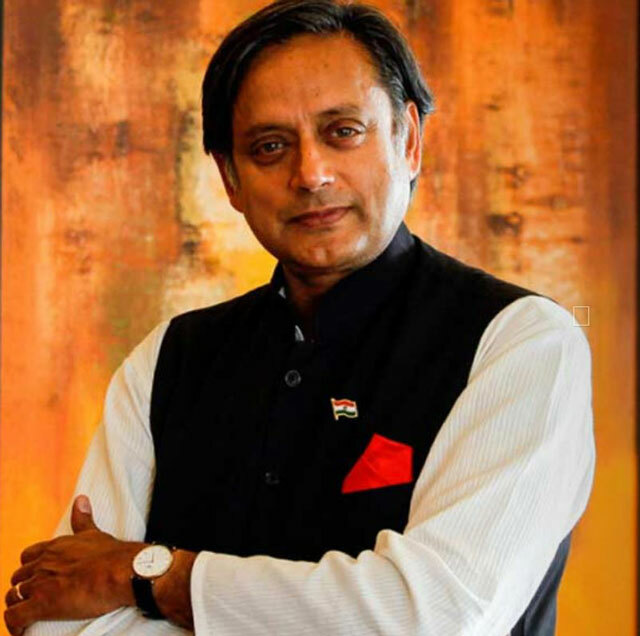 Tharoor has penned 17 books, has been feted with the Commonwealth Writers Prize, and former U.S. president Bill Clinton cited his book India: From Midnight to the Millennium in an address to the Indian parliament. “My formative years, from the ages of three to nineteen, were spent growing up in India…. India matters immensely to me, and in all my writing, I would like to matter to India. Or at least to Indian readers,” wrote Tharoor. Tharoor has declared that the task of the creative artist, the writer, is to find “new ways” of helping to “articulate and give expression to his cultural identity,” shifting, variegated, and multiple in the Indian case. 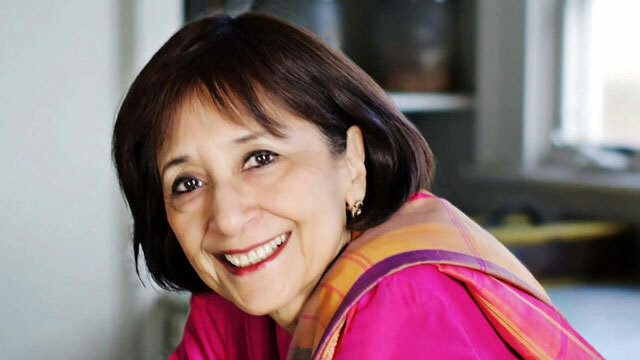 Prolific food writer and actress Madhur Jaffrey’s memoir Climbing the Mango Trees talks about growing up in India as part of an extended family, and her vivid memories of food. Roots are equally important for prolific food writer and actress Madhur Jaffrey. Her memoir Climbing the Mango Trees talks about growing up in India as part of an extended family and her vivid memories of food. She grew up in a large family compound where her grandfather often presided over dinners at which 40 family members would eat together. “The book is about me growing up in Delhi in a city that no longer exists. It is another Delhi now, but this is a city that I loved,” said Jaffrey, who left for London at the age of 19 to study drama at the Royal Academy of Dramatic Art. Jaffrey, who has written over 15 bestselling cookery books, taught herself to cook from recipes her mother sent in letters when she was a student in London, homesick for Indian food. The immigrant experience has inspired one of the richest strands in American literature. In dozens of books published over the last decade, Indian-American authors have drawn on their own experiences to rework the classic American tale of the immigrant’s metamorphosis from outsider to mainstream success. The fictional protagonists created by brilliant writers like Chitra Banerjee Divakaruni, Jhumpa Lahiri, and Kiran Desai struggle with their hyphenated Indian-American identities in the more contemporary sense, as they search for ‘‘wholeness.’’ The promise of America is validated by many of these writers because their characters either discover themselves or persist in the attempt. Chitra Banerjee Divakaruni’s superbly realized cast of characters help American audiences achieve a deeper understanding of Indian people. She has broad cross-cultural appeal as her diverse, richly-layered books deal incisively with the themes of cultural displacement, crisis of identity, and contemporary immigrant life weighed against an ongoing parallel world ‘left behind.’ (Photo: Krishna Giri). Chitra Banerjee Divakaruni’s superbly realized cast of characters help American audiences achieve a deeper understanding of Indian people. She addresses issues surrounding immigration, cultural identity, and assimilation in a new land in a thoughtful and highly original voice. “These issues struck a chord in me from the very beginning of my writing life because immigration had a strong effect on me. 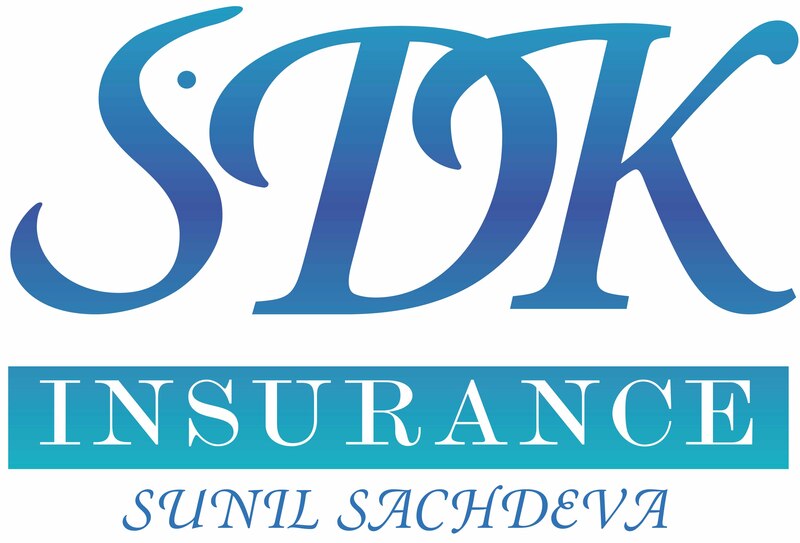 I had come from a fairly protected family background and America transformed me in many ways,” Divakaruni told Khabar. “I could see others around me feeling similarly. I wanted to capture some of that and the complexity of being an immigrant,” said Divakaruni. 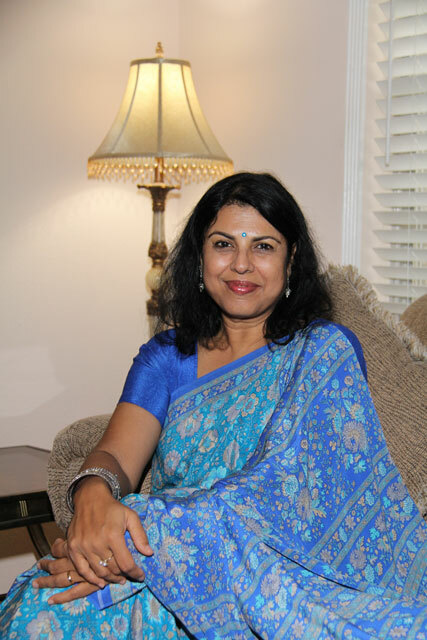 Born in India, Divakaruni currently lives in Texas and is the McDavid Professor of Creative Writing at the University of Houston. She is the award-winning author of 18 books which include Oleander Girl, The Mistress of Spices, Sister of My Heart, Palace of Illusions, One Amazing Thing, and Before We Visit the Goddess. In the Unknown Errors of our Lives, Divakaruni writes poignantly of the toll immigration takes on relationships. The elderly Mrs. Dutta, who has come to her son’s California house, soon discovers her old world ways are an embarrassment to her daughter-in-law. Divakaruni’s books have been translated into 29 languages, including Dutch, Hebrew, Bengali, Russian, and Japanese, and many of them have been used for campus-wide reads. The author’s bestselling works have been made into films and plays. Divakaruni is not only passionate about writing about Indian themes in her novels, but unapologetic about showcasing her Indian cultural identity. “I feel immigrants should celebrate their unique cultural heritage. I wear kurtas to teach in,” said Divakaruni, who always wears gorgeous silk or chiffon saris to book signings and other public events. “Everyone is used to seeing me in Indian clothes on campus, so much so that one day when I wore jeans, people were like “Wow! Something’s new today,” laughed the author. In the age of Trump, writers play a seminal role in countering the negative narrative that immigrants don’t belong in America. 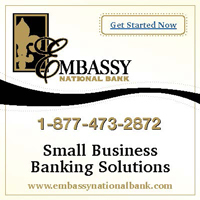 “We have to create our own narrative and make it available to people. It’s more important than ever to show people how we feel, how we think. As immigrants we should never feel uncomfortable about being ourselves. We add something beautiful and important to America,” said Divakaruni. “We shouldn’t forget it, especially in these times,” she added. Divakaruni’s new novel, The Forest of Enchantments, based on the Ramayana and told from Sita’s point of view, will be published in January 2019. “I’ve been working on this book for a number of years now. Again, the project is to place a woman, in this case a misunderstood woman in my point of view, in the center of the novel, and have her tell her story in her own voice,” said Divakaruni. “I strongly feel that the popular depiction of Sita is incorrect (based on my reading and research of the Ramayan), and this misconception has hurt Indian women because they have been told over generations to be meek like Sita and put up with whatever the world does to them. That is not who Sita is at all,” she countered. 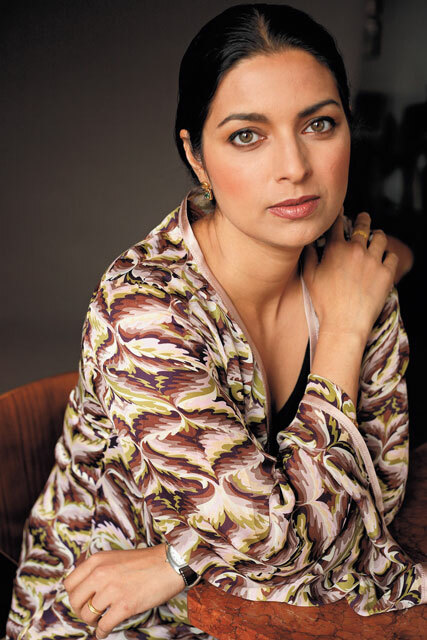 Jhumpa Lahiri was barely more than three decades old herself when she won a Pulitzer Prize for her short-story collection Interpreter of Maladies. Her second novel, The Namesake, was adapted into a critically acclaimed film by well-known director Mira Nair. Robin Dresser, Lahiri’s editor at Knopf, reportedly signed her on in a two-book deal worth at least $1 million. Lahiri and other authors have demonstrated in their writing that plenty of immigrants today believe they could not drop the hyphen in their identities even if they wanted. Lahiri says she had to negotiate her dual identities while growing up and it is reflected in her writing. Her experience as an Indian-American is common to anyone straddling two sides of the hyphen. In her writing, it has been important for her to acknowledge that there is this tension there, between a sort of seamless existence across two worlds, where you exist in both so naturally that you are hardly aware of it. 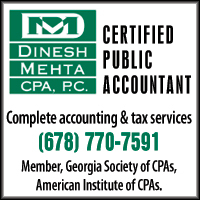 “Indian-American has been a constant way to describe me. Less constant is my relationship to the term. When I was growing up in Rhode Island in the 1970s I felt neither Indian nor American. Like many immigrant offspring I felt intense pressure to be two things, loyal to the old world and fluent in the new, approved of on either side of the hyphen,” wrote Lahiri in a Newsweek editorial. “When I first started writing I was not conscious that my subject was the Indian-American experience. What drew me to my craft was the desire to force the two worlds I occupied to mingle on the page as I was not brave enough, or mature enough, to allow in life,” she added. Do immigrant tales have to be tinged with a Chekhovian sense of loss? “It always implies a leaving behind and therefore a loss. There is inherently an elegiac passage that people undertake in coming to a new world. I write a lot about families that come from that background…. I know very little of the life that my parents from Calcutta and their friends have lived. But what I do know is that there is a great loss,” Lahiri earlier told me at a book signing for The Unaccustomed Earth at the Strand Book Store, in New York. “I feel sad every time I have to leave an apartment and move from one neighborhood to another because that was my home; to put it all away in a box and onto a truck and move away… I have always felt it very deeply. Along with a lot of joyful, positive experiences accompanying such journeys there is a pang. For people like my parents who have come here from Calcutta the experience is intensified. The differences are profound. Whole worlds are left behind and whole lives are left behind,” she added. On the basis of a sparkling four-page proposal, Alfred Knopf’s Sonny Mehta reportedly forked out over $2.5 million for Kiran Desai’s new novel, The Loneliness of Sonia and Sunny. Desai confessed at a book event in the Rubin Museum in New York that writing took a toll on her. “I am working on my third book but worried it will do me severe mental harm. I was quite scared of talking to people for the last year of writing The Inheritance of Loss,” Desai said only half-joking while detailing how writing her second novel took seven torturous years. She wrote a much longer book— 1,800 pages which she cut to 300. 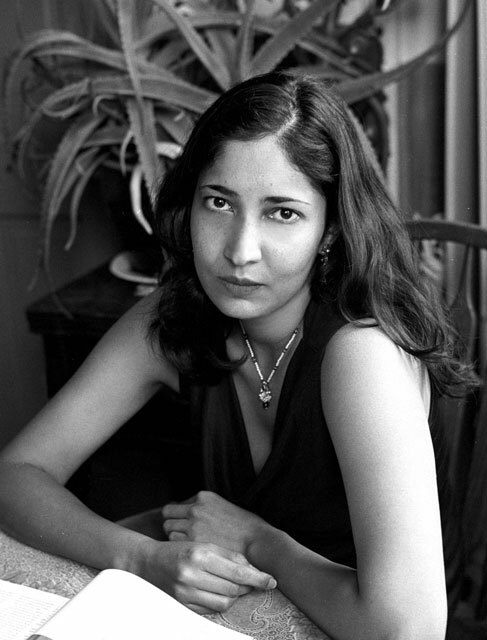 Booker prize winner Kiran Desai succeeded in portraying the tumult of migration in New York, the biggest immigrant city in the world, with her melting pot tale. Desai is the author of two published novels, Hullabaloo in the Guava Orchard and The Inheritance of Loss for which she earned £50,000 in prize money for the 2006 Booker. Desai succeeded in portraying the tumult of migration in New York, the biggest immigrant city in the world, with her melting pot tale. Desai’s novel flits between India’s picturesque Kalimpong caught in the throes of a separatist movement and the immigrant quarters of New York. It tells the stories of eccentric characters buffeted by the winds of personal and political strife. Desai went to school in St Joseph’s Convent in Kalimpong in West Bengal when the violent Gorkhaland agitation was sweeping the hills of Darjeeling. The Gorkhas wanted a homeland made up of the Nepali-speaking hills of West Bengal. “A lot of what I describe is based on my memories of the tensions in the air. I don’t think I really understood it till I left India. It was later as an immigrant in the United States that I realized there were immigrants in India and drew on it,” Desai told me on the sidelines of the book event in the Rubin Museum. The author does not glam up the immigrant experience. One strand of the novel follows the adventures of Biju, an overworked Indian immigrant who lives miserably as an illegal alien in New York. The second strand takes us to Biju’s hometown Kalimpong where his father works as a cook for a retired magistrate. 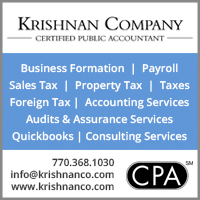 “There is a lot of hype about the successful Indian immigrant. It struck me when I came here that we immigrate into different classes. It was normal for people of my class to look towards the U.S. for an education, but the other class that emigrates is at the poorest level. I think that class difference persists over here, so in a way this novel is an attempt to capture that betrayal,” said Desai, who has now lived in the U.S. for nearly three decades. 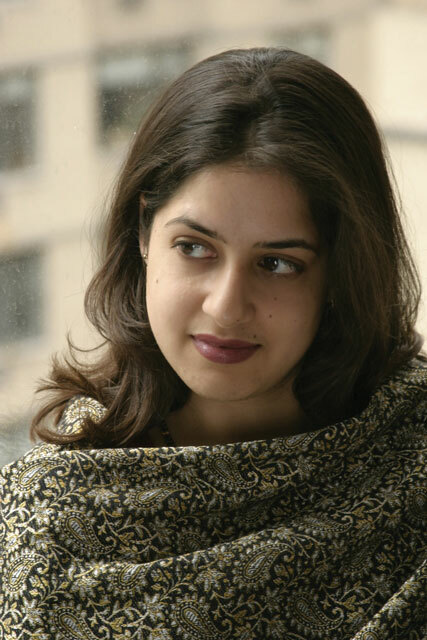 Alternately funny and contemplative, author Pooja Makhijani has been an East Coast girl her whole life. She grew up in a white neighborhood in New York and hated having to rely on Rudyard Kipling’s Jungle Book for a good Indian story. “When I was growing up, there was no literature for South Asian kids. We did get material from India, and I devoured Amar Chitra Katha but it had a different sensibility,” said Makhijani whose book, Mama’s Saris, was published by Little, Brown Books. “This is the book I would have loved to read as a child. It is also a story that every little girl can identify with. When I was a child and went to my friends’ houses for playtime, we used to pull out their mothers’ fancy clothes and play “Dress Up.” I remember all of us trying on hats and shawls, falling over in leather pumps and getting tangled in costume jewelry, putting on … pink blush (that found its way to our noses). When I got home, though, it was my mother’s saris—her dress up clothes—which captivated me,” added Makhijani who lives in New Jersey with her daughter, an antique typewriter, and books piled high. “It is a universal story in some ways couched in a very cultural specific context,” added Makhijani, who has a day job as a communications manager at Princeton University. Pooja Makhijani writes in Under Her Skin about her Sikh classmate who had his turban yanked off during a kickball game as the “defining moment” in her life. In the introduction to her popular first book, Under Her Skin: How Girls Experience Race in America, Makhijani confessed to suffering a fleeting “I-refuse-to-be-Indian-how-can’t-you-see-that-I-am-as-white-as-you” phase. In one of her candid essays, Makhijani recalls a childhood spent swapping the traditional Indian lunches her mother packed for the processed school lunches other ‘luckier’ kids brought. The notion of leaving home, dislocation, and the scattering of family is a constant theme in What You Call Winter. A son is shipped off to a boarding school in India, a wife and mother walks out on her family, and children emigrate and travel to another part of the world. Jones says her writing is shaped by her childhood, where she was in an “annual state” of goodbyes and reunions. “I grew up with at least one side of my family scattered over the globe. My mom’s family lives in Bandra. She bravely started up a life in the States with my American dad so I have a ways been fascinated by that idea that she had to begin a home in a new place. It must have been difficult,” Jones told me at the book launch of What You Call Winter. “As children, my brother, sister, and I visited Mumbai often and we were encouraged to think of it as our home. I have loved going there,” added Jones, who has based her fictional Indian Catholic town of Santa Clara on Bandra, where her mother Marguerite grew up. Jones is moved by the courage of first generation immigrants. “I think that sense of not being quite certain of where your home is or feeling possibly that you have two homes that are so distinct has always moved me,” said Jones. “That is how I ended up writing about people who have experiences so different from mine,” said Jones, who explores American childhoods, Indian childhoods, and the different ways distance operates in families in her book. In one of her stories, a daughter waffles over how much she should reveal of her new life in America when she returns home to help her mother get a cataract surgery. The book title itself, What You Call Winter, comes from a dialogue in one of her stories. A father who lives in India is speaking to his son in America and mentions a “cool winter” and the son who is battling a New York snowstorm laughs it off, saying, “What you call winter is nothing to us. It’s like our summer.” Jones uses this everyday conversation to convey a broader message. The father suddenly realizes how far he and his son have drifted. If you haven’t guessed already, Jones, who received a Master of Fine Arts degree from Columbia University and is a Stanford Calderwood Fellow, has invited comparisons with Jhumpa Lahiri. She is a recipient of an NEA fellowship, Pushcart Prize, and O. Henry Prize. Her recent teaching appointments have been in Columbia University’s M.F.A. program and Yale University. We have been fortunate to see a vertiginous rise in Indian-American writers despite the fact that they have had to deal with so many things: invisibility, gatekeeping, lack of access. The American book industry typically doesn’t like to take a lot of chances, but an older generation of celebrated Indian authors like Salman Rushdie, Vikram Seth, Amitava Kumar, Amitav Ghosh, and Sunil Khilnani have broken the ice with their diverse material. “American writing is rich and diverse. 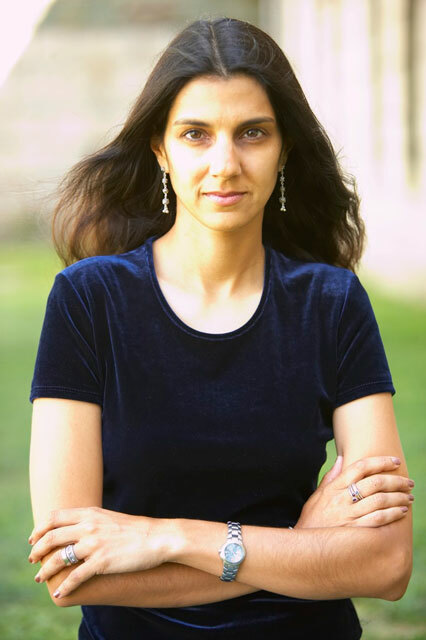 Jhumpa Lahiri, Junot Diaz, and Nam Le have successfully drawn readers into worlds outside their own familiar confines,” said awardwinning poet and writer Nabina Das who lives in Ithaca, best known for being home to Cornell University. Das writes about an India where social divides stand taller than multistoried shopping malls in Footprints in the Bajra. Through her mercurial protagonist Muskaan, a Maoist rebel from the age of 13, Das hopes to change the way we look at the world around us. The book is a triumph of disparate voices and haunting realities. The debut novel was inspired by what Das saw while touring the interiors of Bihar as part of a traveling theater group, inquiring into why the Maoists have an influence over a large section of Indian society. Thanks to a growing tribe of Indian-American authors, we get to read books peopled with vibrant characters exactly like us. Their writing is moving, funny, astonishingly observant, and inventive, joyously alive. It is deeply satisfying that we live in a world where Pulitzer Prize winner Lahiri’s novel about a very relatable and likable second-generation Indian-American Gogol Ganguli in The Namesake, shares the bestseller lists with The Da Vinci Code. It is a fortunate stroke of serendipity at a time when President Trump’s anti-immigrant policies and vitriol is predicated on a hyper-territorial worldview in which immigrants are cast as job stealers. 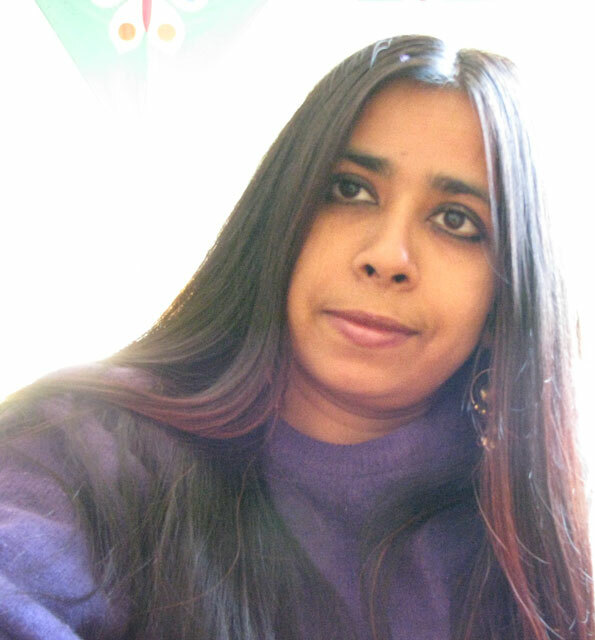 Uttara Choudhury has been a senior correspondent for Agency France Press, Forbes India, and The Wire. She is a contributing author of the book titled Bazaar at Work published by Harper’s Bazaar.